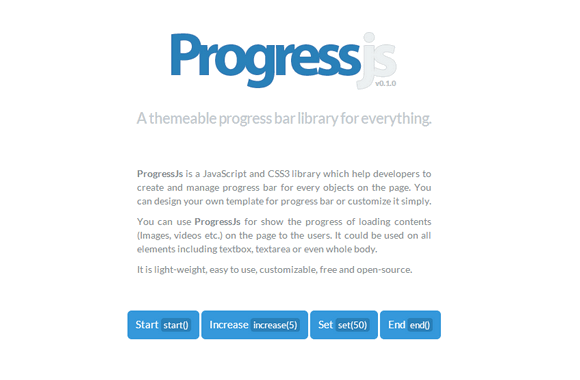 You can use ProgressJs for show the progress of loading contents (Images, videos etc.) on the page to the users. It could be used on all elements including textbox, textarea or even whole body. It is light-weight, easy to use, customizable, free and open-source.